Level 2 Food Safety Bakery Manufacturing - PLUS GMP!!! 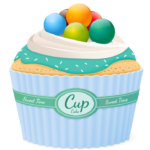 Level 2 Food Safety Bakery Manufacturing – PLUS GMP!!! Typical basic food hygiene training, or Level 2 Food Safety as its now called, has been around for many, many years and was originally built for food made in a kitchen. Today food manufacturing and the associated standards have advanced dramatically since then and so Techni-K have designed level 2 food safety training which meets todays modern manufacturing environment. No longer should bakery operators continue to be taught why it’s important to segregate raw and cooks high risk foods (such as chicken), even though in their day to day roles, they do not even use such high risk ingredients. 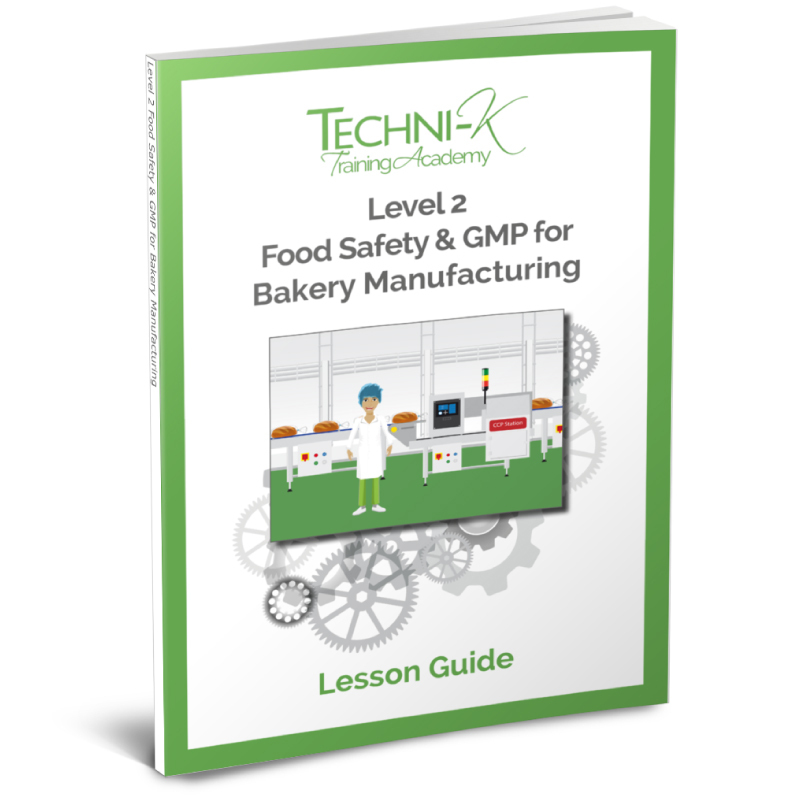 This eLearning provides bakery operators with not only Level 2 food safety bakery manufacturing training, relevant to the product they are producing, but also brings in GMP requirements which are key to their roles. The course is designed to show the learner around a virtual factory; The Bakery Company Ltd, as a new starter. As the learner makes their way around the outside of the factory; enters the staff entrance, moves their way around the staff facilities and then walks the factory process, they learn about all the food safety and GMP elements applicable to bakery production at each step of the process. The importance of restricted access, visitor and contractor procedures, site, raw material and product security. What pests are and the impact that they have on food. The importance of waste and door control. Monitoring and reporting of pests. SPI (stored product insects) in a bakery environment. Jewellery, personal items and smoking controls. Ensuring food for personal consumption is safe to eat. Handwashing and changing procedures, including segregation of colour coded coats. The company quality policy and company objectives; and how employees have a responsibility to work towards them, including KPI targets. The consequences of poor practices. Employee training. Records, accuracy and providing due diligence evidence. medical screening, and the control of medicines. Cuts and wounds and what to do when there is a bodily fluids spillage. What they are and the consequences of cross contamination. Control of allergens through segregation, cleaning, rework and spill control. Change overs and line clearance for effective labelling. Why cleaning is important and the principles of effective cleaning. Using and controlling chemicals effectively. Colour coding of cleaning equipment. Clean as you go. Intake procedures, including certificates of conformity or analysis. Sieving, why we do it and what to look for. De-boxing, debagging and knife controls. The difference between best before and use by ingredients. Traceability. Recipe control. Protecting the product from foreign body contamination. Quarantine. How the equipment and the facility can contaminate the product. What to look for and what to do. Accuracy of equipment. Metal, glass and hard plastic controls. Weight control. The food safety team and how they apply hazard analysis, to establish CCPs, PCs and OPRPs. What these control points are, including monitoring, recording and critical limits for CCPs. Metal detection; how it works, what to check for and what to do when it fails. “Excellent! I think this is a must for our site!” Jason Burrows, Site Trainer, Kara Foods. “Our employee passed the exam and they found it more interesting than the traditional way of e-learning. They liked the interactive element and that it was both reading and listening sections (when we finally got speakers set up). They also liked that it was actually aimed for the environment they worked in and they could relate to it better. Overall a big thumbs up and I will use again when the opportunity arises. Keep up with the excellent work and making learning more fun!! Many thanks” David Nelson, Technical Manager, Enjays. This course is designed for workers in a bakery manufacturing environment. It is not specifically designed for bakery retail outlets, although many of the principles taught in the course will be applicable. For companies who would like to train more than 10 learners, a free online training dashboard can be provided. This dashboard allows a super-user at site to assign and manage training. Tell me more about the dashboard! To successfully pass the course, the learner needs to get at least 70% in a 25 multiple choice test. The questions for the test are randomly selected from a bank of hundreds of questions, so if the learner fails the test, they can retake it, as they will be presented with another 25 questions. A lesson guide is also provided for the course; which includes all the information that the learner needs to be able to answer the questions, they just need to have understood the information sufficiently to be able to find the answer they need. On successful completion of the test, a certificate will be instantly generated, which is ready to print. We have had the lesson guides printed too, so that you can purchase them for your training rooms. Ordering 10 or more courses? Give us a call and we’ll set you up with a free training dashboard – call us on 07955 211023. Would you like a free trial? Request one here!